Andraé Crouch (born July 1, 1942 in Los Angeles, California) is an award-winning gospel musician, recording artist, songwriter, arranger, and producer. He was a key figure in the Christian Music movement of the 1960s and 1970s. His religious songs were performed by Elvis Presley, Paul Simon, and church choirs and other musical groups around the world. He won eight Grammy awards and received an Oscar nomination. 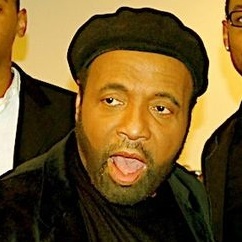 Andraé Crouch was inducted into the Gospel Music Association’s Gospel Music Hall of Fame in 1998.